Get ready to say hello to scrapgaming! All of us here at Hololabs are excited to announce that we have officially launched our first public version of Papercade- and it’s free right now in the Australian and New Zealand App Stores. Need a refresher? 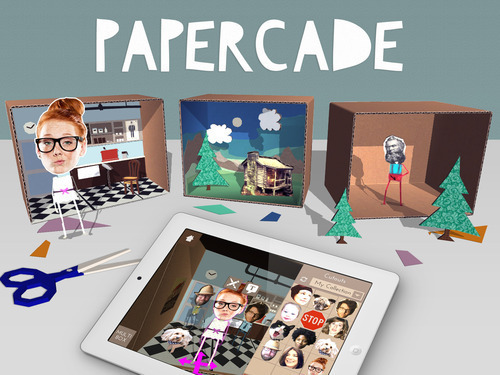 Papercade is a free game for iPad where you assemble playable dioramas from paper cutouts. You can customize the characters by using your own photographs, and make original cutouts with colourful digital paper. You can also personalize your dioramas with backdrops, music, and themed cutouts that come with the game. So get crafting! Be the first person in the world to make an interactive rugby diorama or play mini-games made by your friends. Remember to share your screenshots with us on Facebook and Twitter.